A jazz band is a musical ensemble that plays jazz music. 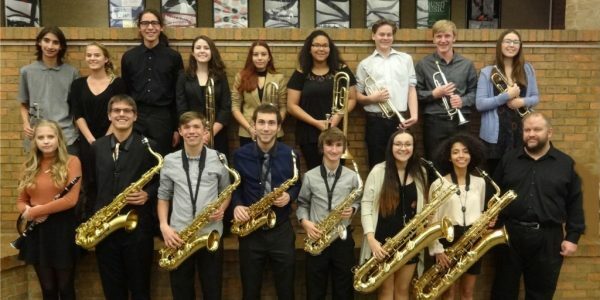 Jazz bands vary in the quantity of its members and the style of jazz that they play but it is common to find a jazz band made up of a rhythm section and a horn section . Jazz bands can vary in size from a big band, to a smaller trio or quartet. The term jazz trio can refer to a three piece band with a pianist, double bass player and a drummer. Some bands use vocalists, while others are purely instrumental groups. Jazz bands usually have a bandleader . In a big band setting, there is usually more than one player for a type of instrument. A marching band is a group in which instrumental musicians perform while marching, often for entertainment or competition. 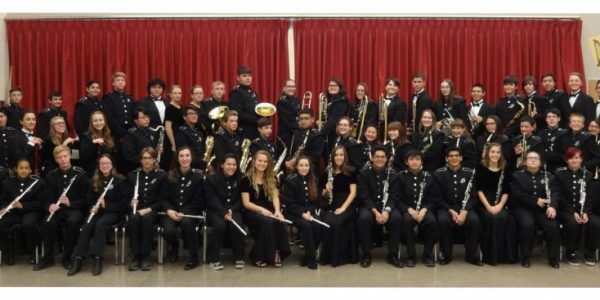 Instrumentation typically includes brass, woodwind, and percussion instruments. Most marching bands wear a uniform, often of a military style, that includes an associated school or organization’s colors, name or symbol. 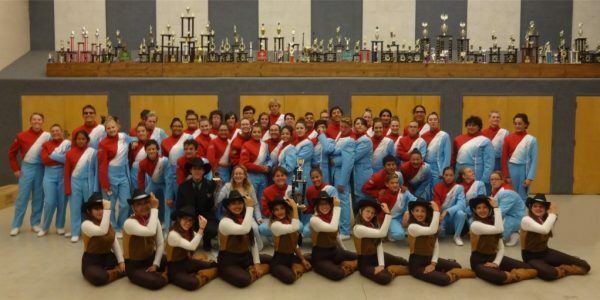 Most high school marching bands, and some college marching bands, are accompanied by a color guard, a group of performers who add a visual interpretation to the music through the use of props, most often flags and rifles. Marching bands are generally categorized by function, size, age, gender, instrumentation, marching style, and type of show they perform. In addition to traditional parade performances, many marching bands also perform field shows at sporting events and at marching band competitions . Increasingly, marching bands perform indoor concerts that implement many songs, traditions, and flair from outside performances. 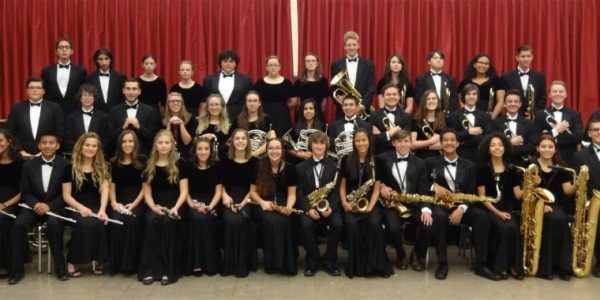 A concert band, also called wind ensemble, symphonic band, wind symphony, wind orchestra, wind band, symphonic winds, symphony band, or symphonic wind ensemble, is a performing ensemble consisting of members of the woodwind, brass, and percussion families of instruments, along with the double bass or bass guitar. On rare occasions, additional non traditional instruments may be added to such ensembles such as piano, harp, synthesizer, or electric guitar.